The product range Vacon is responsible for conducting control processes in which it is installed with optimum energy efficiency for a wide varoedad ​​of applications that are driven by electric motors. 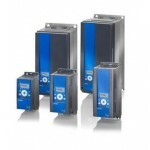 Frequency converters have both air-cooled liquid and are available with a power range from 0.25kW to 5.3kW. Its featured products could be included in frequency converters low voltage frequency converters and decentralized movement and geared motors. The first work with AC low voltage and power range up to 5.3MW. 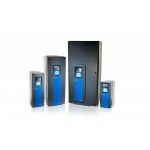 They offer a variety of integrated functions, reduce costs, improve energy efficiency and optimize the productivity of the processes in which they are installed. The second converters can be mounted very close to the engine, eliminating the need for a control room, thus reducing wiring, design costs and installation time. 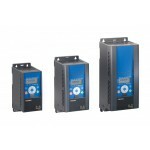 These inverters provide very high performance axis machine applications requiring a lot. 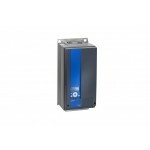 135U1924 VACON0020-3L-0012-4+EMC2+QPES+DLES+A1051 VACON - AC Drive Vacon 20 5,5 kW/7,5 HP 3x380-480V (motor ..
136F2337 VACON0100-3L-0009-5+FL03+DPAP+DLES VACON - AC Drive Vacon 100 4 kW 3x380-500V, IP21, graphic panel ..
136G0676 VACON0020-1L-0001-2+EMC2+QPES+DLES+A1051 VACON - AC Drive Vacon 20 0,25 kW/0,33 HP 1x208-240V (moto..
135U1902 VACON0020-1L-0002-2+EMC2+QPES+DLES+A1051 VACON - AC Drive Vacon 20 0,37 kW/0,5 HP 1x208-240V (motor..
136G0677 VACON0020-1L-0003-2+EMC2+QPES+DLES+A1051 VACON - AC Drive Vacon 20 0,55 kW/0,75 HP 1x208-240V (moto..
136G0678 VACON0020-1L-0004-2+EMC2+QPES+DLES+A1051 VACON - AC Drive Vacon 20 0,75 kW/1 HP 1x208-240V (motor 3..
136G0679 VACON0020-1L-0005-2+EMC2+QPES+DLES+A1051 VACON - AC Drive Vacon 20 1,1 kW/1,5 HP 1x208-240V (motor ..
135U1910 VACON0020-1L-0007-2+EMC2+QPES+DLES+A1051 VACON - AC Drive Vacon 20 1,5 kW/2 HP 1x208-240V (motor 3x..
135U1913 VACON0020-1L-0009-2+EMC2+QPES+DLES+A1051 VACON - AC Drive Vacon 20 2,2 kW/3 HP 1x208-240V (motor 3x..
135U3222 VACON0020-3L-0001-4+EMC2+QPES+DLES+A1051 VACON - AC Drive Vacon 20 0,37 kW/0,5 HP 3x380-480V (motor..
135U7052 VACON0020-3L-0002-4+EMC2+QPES+DLES+A1051 VACON - AC Drive Vacon 20 0,55 kW/0,75 HP 3x380-480V (moto..
135U1918 VACON0020-3L-0003-4+EMC2+QPES+DLES+A1051 VACON - AC Drive Vacon 20 0,75 kW/1 HP 3x380-480V (motor 3..
135U1920 VACON0020-3L-0004-4+EMC2+QPES+DLES+A1051 VACON - AC Drive Vacon 20 1,1 kW/1,5 HP 3x380-480V (motor ..
135U3218 VACON0020-3L-0005-4+EMC2+QPES+DLES+A1051 VACON - AC Drive Vacon 20 1.5 kW/2 HP 3x380-480V (motor 3x..
135U3219 VACON0020-3L-0006-4+EMC2+QPES+DLES+A1051 VACON - AC Drive Vacon 20 2,2 kW/3 HP 3x380-480V (motor 3x..
135U3221 VACON0020-3L-0008-4+EMC2+QPES+DLES+A1051 VACON - AC Drive Vacon 20 3,0 kW/4 HP 3x380-480V (motor 3x..
135U1923 VACON0020-3L-0009-4+EMC2+QPES+DLES+A1051 VACON - AC Drive Vacon 20 4,0 kW/5 HP 3x380-480V (motor 3x..
135U1925 VACON0020-3L-0016-4+EMC2+QPES+DLES+A1051 VACON - AC Drive Vacon 20 7,5 kW/10 HP 3x380-480V (motor 3..
135U1845 VACON0020-3L-0023-4+EMC2+QPES+DLES+A1051 VACON - AC Drive Vacon 20 11 kW/15 HP 3x380-480V (motor 3x..
135U1847 VACON0020-3L-0031-4+EMC2+QPES+DLES+A1051 VACON - AC Drive Vacon 20 15 kW/20 HP 3x380-480V (motor 3x..
181B0230 BRR-0022-HD-5 VACON - External brake resistors 380V-500V / 0,61 kW / 63 Ohm Vacon 100 MR4 & Vacon 2..
181B0231 BRR-0022-LD-5 VACON - External brake resistors 380V-500V / 0,24 kW / 63 Ohm Vacon 100 MR4 & Vacon 2..